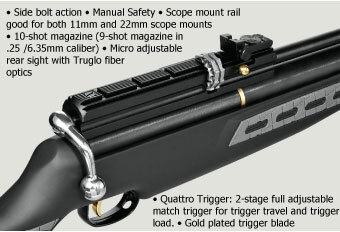 Air rifle Hatsan BT65 RB 6.35 mm. 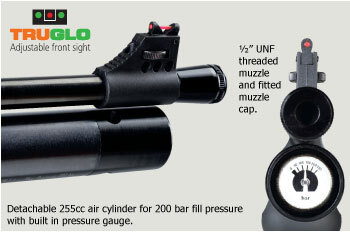 Muzzle velocity: 330 m / sec. 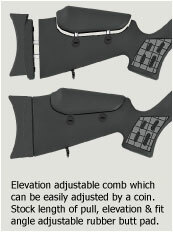 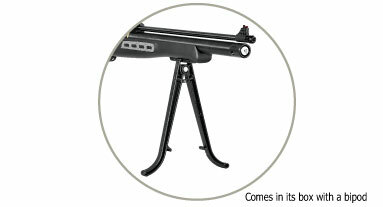 -9-shot, manual loading, side bolt action, pre-charged pneumatic (PCP) air rifle.